10. Wieland. or. The transformation. 7. Jane Talbot. By Charles Brockden Brown. by Brown. Charles Brockden. 1771-1810. 12. Arthur Mervyn or. Memoirs of the year 1793. O! What splendid fortune that the Library of America should beso generous as to rescue from the mists of oblivion such an author asCharles Brockden Brown (1771-1810). This son of Pennslyvania Quakerswas sent forth to obtain an education in preparation for an eventualcareer in the law, but then he came upon the writings of Jean-JacquesRousseau and Samuel Richardson, whose novels inspired Brown to embarkupon a literary career of his own. Years of poverty and illhealth--for young Brown was a consumptive--followed, and then, withina four-year period, he would produce seven novels, three of which havebeen gathered in this volume. One of the joys of the Library of America has been how the LOA has breathed new life into long forgotten and neglected writers. Like William Dean Howells and William Maxwell, Charles Brockden Brown's works have been discovered again thanks in large part to the apotheosis of being published by the LOA. Based in Philadelphia, Brown was a leading writer of the 1790s and first decade of the nineteenth century. While Brown certainly shaped certain gothic strands of the American literary tradition, his influence did not end there. Mary Sheller and Margaret Fuller both admired Brown and one suspects that Brown's strong female protagonists may be one of the chief reasons. "Three Gothic Novels" includes almost all of Brown's novels though there are important books missing. "Wieland" is a spooky story involving a ventriloquist and how he impacted the dark legacy of a family. "Arthur Mervyn" offers a harrowing look at Philadelphia during the yellow fever epidemic of 1793 and, if not as good as DeFoe looking at 1666, Brown shows how society broke down during an outbreak. 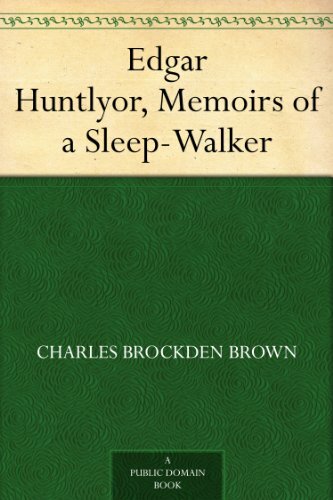 With such various themes as sleepwalking, revenge, Native Americans, the frontier and various other topics, there is no easy categorization of "Edgar Huntley." All of these tales are dark, suspenseful and, haunting. While he is excellent in building a plot, revealing characters and keeping a reader on the edge of his seat, Brown is not for everyone but it must be conceded he is not as difficult for the uninitiated reader as many 18th century writers. 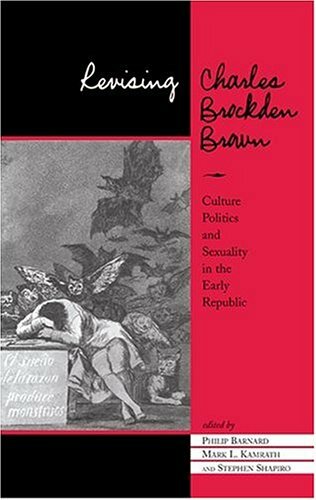 While these novels generally involve what would now be labeled as horror, Brown was not adverse to confronting the issues of his age and it is a pity that the LOA has not yet collected his "Alcuin" that deals with gender roles and marriage and "Ormond" which is an action tale dealing with gender roles, the Enlightenment, the influences of the French Revolution and, of all things, lesbianism. Still, while the LOA could have included more, what they produced is excellent. 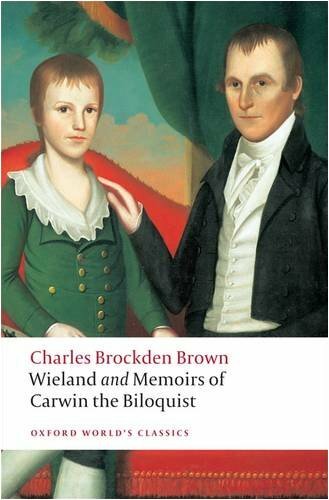 Brown is an important and solid writer who can still be enjoyed two centuries after his death. Unlike Washington Irving or Cooper or any of the later founders of American literature, Brown never quite got his due but then he died young and did not produce many books. While Brown never reached the levels of Poe or Hawthorne or Irving or even Simms, he was an important writer who can still be enjoyed today. Readers are once again in debt to the LOA for helping bring another great American writer out of obscurity and into our libraries and onto our bookshelves. Out of the three novels, I have only read Wieland, but if the other two are as good as this one, I would definitely be willing to read them. Wieland is one of my all-time favorite books.This novel looks at how religion, the unexplainable (or seemingly unexplainable), and madness affect ordinary people.There are no monsters lurking in the shadows, but the novel does look at how people deal with horror in "real" situations. I was pleased to see that the editorial review of this (typically gorgeous) Library of America series entry stole my breath.Brockden Brown's fascinating and brutal gothic novels are the true foundation of what's dark about American literature.Perhaps even more irresponsible than Poe in his fascination with the grotesque (spontaneous combustion, anyone? ), Brockden Brown long anticipates Poe and Freud (and Faulkner and Jackson and ...) in his bleak explorations of our most terrible fears, and our worst secrets.Without scenes like the axe murder in "Wieland," would we have King's (or Kubrick's) "The Shining"?Impossible.Let's hope that the Library of America will add a Volume 2 to this one, including Brockden Brown's lesser known (and impossible to find) works like "Ormond." Charles Brockden Brown is known as the "Father of the American novel" and is considered to be ourfirst professional author.At least by those who do consider him at all.To be perfectly frank, I'd neverreally heard of the guy before now.But this excellent gothic tale, which was based on the true story ofa farmer who thought that angels had commanded him to kill his own family,is so clearly theforerunner of the fiction of everyone from Hawthorne and Melville to Poe and Henry James to H.P.Lovecraft and Robert E. Howard right on up to Shirley Jackson and Stephen King, that it is hard tobelieve that his work is not better known nor taught more often. Wieland, his first novel, tells the story of a religious fanatic who builds a temple in the seclusion of hisown farm, but then is struck dead, apparently by spontaneous combustion.Several years later, hischildren, in turn, begin to hear voices around the family property, voices which alternately seem to becommanding good or evil and which at times imitate denizens of the farm.Are the voices somehowconnected to a mysterious visitor who has begun hanging around?Are they commands from God? From demons?Suffice it to say things get pretty dicey before we find out the truth. This is a terrific creepy story which obviously influenced the course of American fiction.Browndevelops an interesting serious theme of the role that reason can play in combating superstition andreligious mania, but keeps the action cranking and the mood deliciously gloomy.The language iscertainly not modern but it is accessible and generally understandable.It's a novel that should be better known and more widely read, if not for historical reasons then just because it's great fun. First, let me say that this is not the type of thing I tend to read.I've read reviews of this book by people who were assigned this text for a class -- and they hated or did not finish it because it's written in a somewhat old and advanced type of prose.I was actually surprised how much I enjoyed it once I kept reading and got into it. As a work of horror fiction, it does have some genuinely creepy moments here and there, and plenty of suspense, but to me at least, it satisfies much more as a kind of "cozy" rural mystery.There's also some romance thrown in toward the middle. "Wieland" does grab you eventually, and it has a thick atmosphere of Gothic doom over the characters, but from a source that stays well-hidden until the end. I have to agree with the prime criticisms thrown at this book; that the explanations given for the events were essentially too far flung, too amazing to be believed.I would also say that more of a tie should have been made between the prelude about the father and the later events that happen to his son and daughter.I would recommend this book only to those who are truly committed to reading older Gothic tales, or what some consider "America's earliest novel." One of the earliest American authors--and guess what, our literature starts with horror!A fun window onto the uncertainty and dread that were a part of this country's beginnings.Spooky voices, impersonation, and religious fanaticism always equal quality entertainment. I had to order the book for a class so I wanted something that wasn't incredibly damaged or marked up and that's exactly what I received. The book is in mint condition and it cost less than what I would have had to pay at the book store or most other places. I have yet to read it, so I don't know if the story is any good, but I am hoping that the trend in my class, which has been full of good novels so far, will continue. Having to rate a book like this is no easy task. I give it four stars as a sort of average. The edition itself, with a solid introduction by Emory Eliot, is very good. The novel, like all of Brown's works, is a somewhat unsatisfying effort. That said, let me add quickly that this novel is a must-read, without a doubt. This truly Gothic tale will keep you in suspence from start to finish--and guess what, Brown even claims a historical precedent for the narrator's brother slaughtering his wife and children. This is Real TV! It is not a great novel (although superior to, for instance, "Edgar Huntly" and "Stephen Calvert") but it is a fascinating one. Brown was quick to jump on the bandwagon of female fiction that proved to be the bestseller in 19th century America, and this semi-epistolary tale by a female narrator is fascinating if only for the problems its form poses. For instance, its epistolary character, meant to create a sense of urgency and directness, never convinces due to its pretentious literate (read, latinate) diction and syntax. 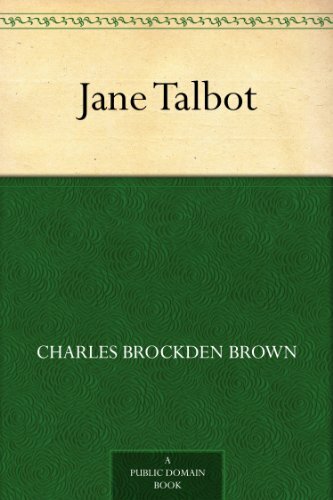 Moreover, Brown's choice of a female narrator--a man writing like a woman writing like a man--, while marketable in 1798, shows that he always bites off much more than he can chew. A much better (and earlier, 1797!) example of a female epistolary novel is Hannah W. Foster's "The Coquette," available in a wonderful edition also by the Oxford UP. The first gothic novel in America, Wieland (1798) is now available in a Norton Critical Edition.Wieland, the story of religious delusions and horrific violence on the eve of the American Revolution, is the first gothic novel in America and a cornerstone of the Early American literary canon. A family living on an estate outside Philadelphia is visited first by a set of mysterious voices, seemingly coming out of thin air, followed soon after by an itinerant rustic named Carwin. Violence erupts when the family’s young patriarch believes he hears God’s voice demanding a human sacrifice as a sign of faith. Testing the limits of religious and literary authority in the new United States, Brown’s novel has for more than two centuries kept readers debating questions of agency, accountability, and revolutionary politics as the story’s moral chaos unfolds. The editor provides explanatory annotation throughout the volume. 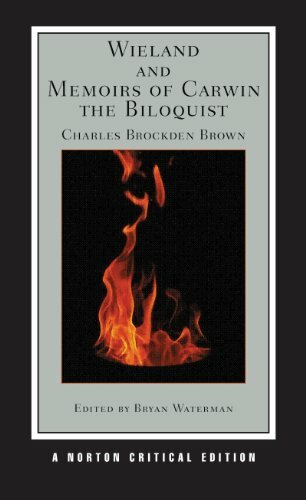 This Norton Critical Edition also reprints Memoirs of Carwin the Biloquist, Brown’s fragmentary sequel to Wieland. “Sources and Contexts” presents inspirations for Brown’s work, including an account of the real-life Yates family murders, an excerpt from Christoph Martin Wieland’s The Trial of Abraham, as well as religious and medical accounts of delusion, spontaneous combustion, and ventriloquism. Brown’s outline for Wieland and his letter to Thomas Jefferson are also reprinted. “Criticism” includes contemporary responses to the novel from both the United States and the United Kingdom along with fourteen essential modern critical approaches. Recent contributors include Shirley Samuels, Christopher Looby, Nancy Ruttenberg, Laura Korobkin, David Kazanjian, Bryan Waterman, and Stephen Shapiro, among others. 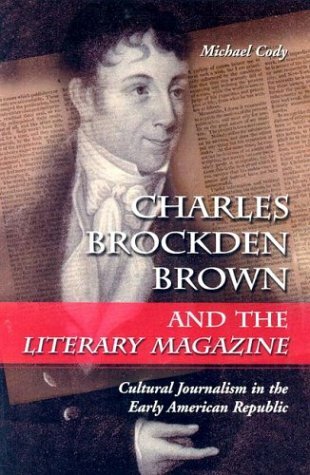 Among the leading writers of the early republic, Charles Brockden Brown often appears as a romantic prototype--the brilliant, alienated author rejected by a utilitarian, materialistic American society. In The Romance of Real Life Steven Watts reinterprets Brown's life and work as a complex case study in the emerging culture of capitalism at the dawn of the nineteenth century. Offering a revisionist view of Brown himself, Watts examines the major novels of the 1790s as well as previously neglected sources--from early essays and private letters to late-career forays into journalism, political pamphleteering, serial fiction, and cultural criticism.